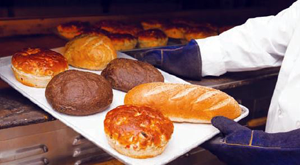 With a delectable, mouthwatering assortment of breads, pastries and cakes prepared fresh onsite in our own bakery, it’s no wonder our baked goods are such a popular hit with our patrons! All of our bakery items are available for purchase in our lobby on each and every show day, including freshly baked breads such as babka, Italian, rye, and multigrain. For special occasions, feel free to give us a call to custom order our baked goods to serve at your own party or special occasion. From sheet cakes of any size and flavor, to cheesecake, carrot cake, or old fashioned pound cakes, we have your party covered. You can also purchase pastries such as cookies, brownies, macaroons, chocolate covered strawberries, and more in unlimited quantities. 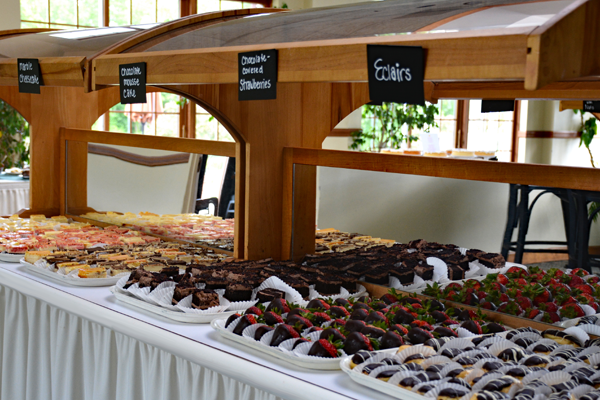 Feel free to also mix and match all of this deliciousness by ordering one of our dessert platters. For your convenience, your special bakery order can be picked up here at the Playhouse.